Is there enough corn for Bush ethanol plan? 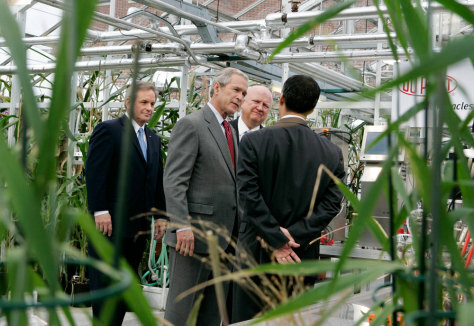 President Bush tours a DuPont research lab Wednesday where scientists are developing new ways to make ethanol. To meet aggressive targets, major breakthroughs will be needed to improve processes that use plants other than corn.